Matey now sails the SS Open Arms with her crew of Mighty Sailors. Discover the mysteries of the unexplored regions of the Ocean Void and the surprising history of the land of Admiral Jake. 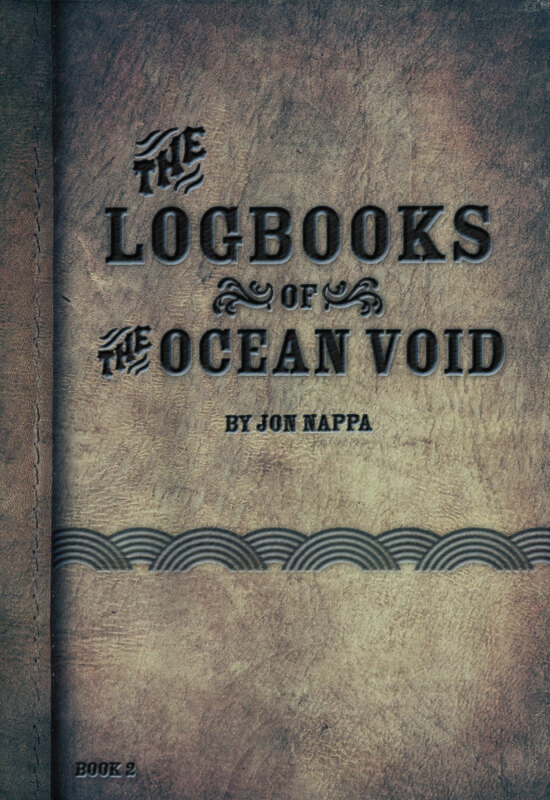 This is the long-awaited-for sequel to the first installment of The Logbook Series and promises to not fail expectations. In The Logbooks of the Ocean named Void, Matey must begin sorting out the clues from within the Admiral’s Logbooks, while she and her odd but fascinating assortment of crew endeavor to grow into a close-knit band of sailing-warriors. Leef the man-flyer, Gunther the loyal giant of a man, Giovanni Mackanninni the flashing swordsman, Ham the Dwarf, Lewis London, Scotty McBride, Pierre LaRogue and all the rest of your favorite characters from the original novel join together to face severe trials of many kinds at land and at sea. But their troubles are not only those that lay ahead in undiscovered realms, but also those clawing up from behind with more than a vengeance unsettled. The Logbooks of Admiral Jake is scheduled to be told over the span of 12 novels with many exciting surprises along the way. Each edition is already designed and will be handsomely bound with illustrations in every chapter. As 2018 arrives and counts down to Christmas 2018, visit these pages for progressive glimpses into what the next volume promises to reveal. The kernel of inspiration for this series began many years ago while Jon Nappa was a young upstart in the motion picture industry. Simultaneously occurring at that time was an ongoing television series promotion about an upcoming Amazon Expedition by the son of famed explorer, Jacques Cousteau. Much anticipation was built about what might be encountered. After waiting several months for the first documentary broadcast of the expedition, Nappa was disappointed in the eventual presentation. It wasn’t that the actual expedition wasn’t interesting or fascinating or excellent in many ways – it was all of those things. However, it did not live up to his hoped for and imagined expectations. Shortly thereafter, Nappa began imagining what a jungle river adventure might be like if it truly turned out to be filled with fantastic adventure and out-of-this-world encounters. In time, his idea grew into an ocean-going series inspired by C.S. Lewis’s Chronicles of Narnia, J.R.R. Tolkien’s Lord of the Rings, the Cousteau Amazon Expedition and, of course, the larger questions of love, life and the hereafter. After all, like everyone of us, Nappa himself was finding himself on a journey through life that would eventually include getting older, and for him that included getting married, having children, facing trials, embracing joyful triumphs, enduring tragic heartbreaks, at times feeling like it all made sense and all added up, and at other times like being lost in a fog or at the end of a precipice, wondering: where is it all going? what does it all mean? does it mean anything at all? why is this so hard?